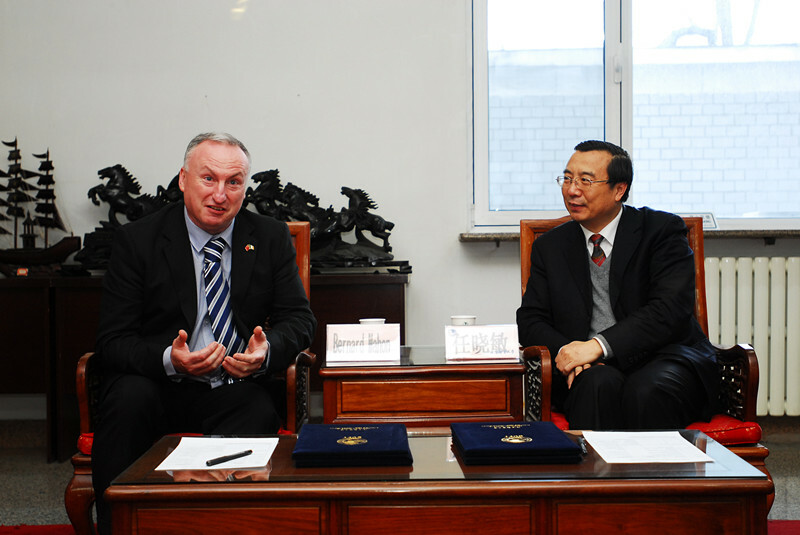 On the afternoon of December 5, 2013, Vice-President REN Xiaomin met with the delegation led by the Vice-President Bernard Mahon of National University of Ireland, Maynooth. The delegation members also include LIU Yinya, Project Coordinator of Embassy of Ireland, WU Xiyue, Director of Beijing Representative Office and XU Yu, Project Coordinator of Beijing Representative Office. First and foremost, Vice-President REN Xiaomin extended his warm welcome to the delegation and made a thorough introduction to the development, features and scientific research of BUPT. Vice-President REN mentioned that the Information and Communication Engineering discipline in BUPT ranks in the 1st place in the National Discipline Assessment in 2013. In response to this, Vice- President Bernard Mahon expressed his heartfelt congratulations on BUPT’s achievement, and is willing to further the collaboration with BUPT. 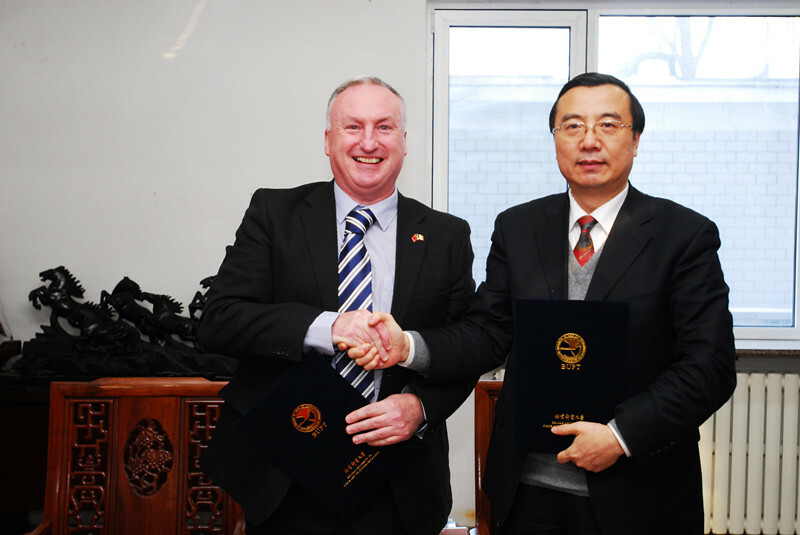 Vice-President REN said that BUPT also places high hopes on the cooperation with National University of Ireland, Maynooth in an all-round manner. 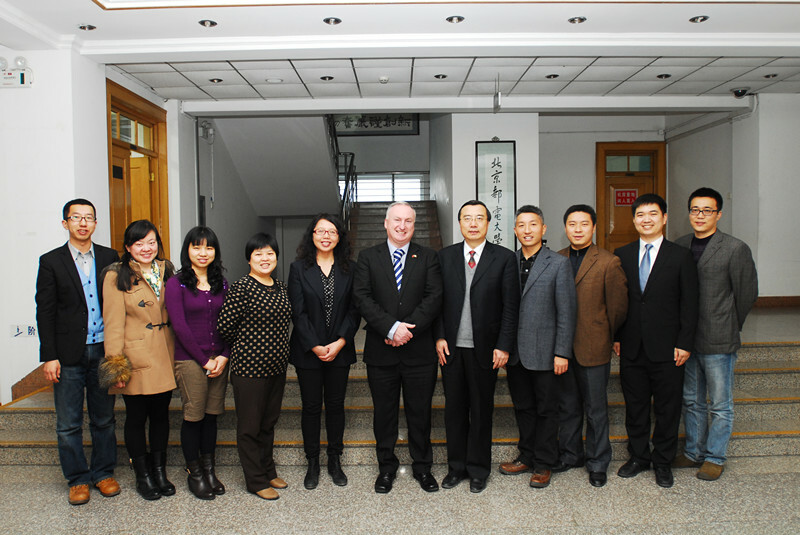 We can expand the cooperation from student exchange to scientific cooperation and beyond. After the meeting, the Vice-Presidents of both universities signed the MoUs which indicates the cooperation between the two universities ushers into a new era. With the support of both leaders, there will be more fruitful results. Lastly, the delegation visited the State Key Lab of Information Photonics and Optical Communications, and the professors of the lab made a detailed explanation on the latest development and research areas of the lab. The delegation hopes that we can further develop our cooperation in the future. YANG Jingzhong, Vice-Director of the General Office; WEN Sijun, Vice-Director of International Office; HU Qibin, Dean of School of Humanities; LU Xiaoning, Director of International Chinese Training Center from BUPT also joined the meeting.